Sounds like you had a good time, Kade. Were the children you were working with Burmese or from one of the other ethnic tribes? I have a pastor-friend who is Karen, and have friends in Germany as well as the U.K. who are Kachin and Chin. Look forward to seeing your pictures. Merry Christmas. Wow, sounds like a really neat experience! Glad your back safe in the U.S.
Wow! That's awesome! I can't wait to see your pictures! 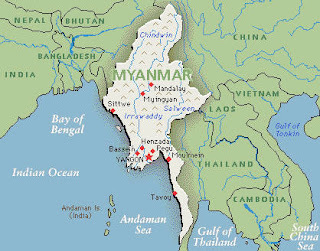 And I even knew where Myanmar was! (Yes, give me a prize....) We've met and helped many refugees from there, and that's so cool that you got to go there!